When a struggling screenwriter’s (William Holden) car breaks down on Sunsent Boulevard, a faded silent movie star (Gloria Swanson) and her doting butler (Erich von Stroheim) welcome him to her mansion, where they then live together like a family. The Addams Family, to be precise. A forerunner to the likes of The Artist and Maps to the Stars, Billy Wilder’s 1950 classic is a caustic attack on Hollywood – that “stinking town”, home to megolamanical film stars and desperate writers. Wilder directs with great wit and atmosphere, eliciting delicious performances from his talented actors. Swanson is glorious as the tragic actress, inhabiting the role with every part of her body, right down to her talon-like hands. Holden holds the piece together sympathetically, just as he later would in Network – another strong companion piece; Sunset Boulevard is to cinema as Network is to television. Well ahead of its time, the film has real Hollywood celebrities playing themselves, such as Cecil B. DeMille and Buster Keaton. This adds to the movie’s warped authenticity, holding a fairground mirror to the movie industry – particularly its approach to ageing, fame and creativity. 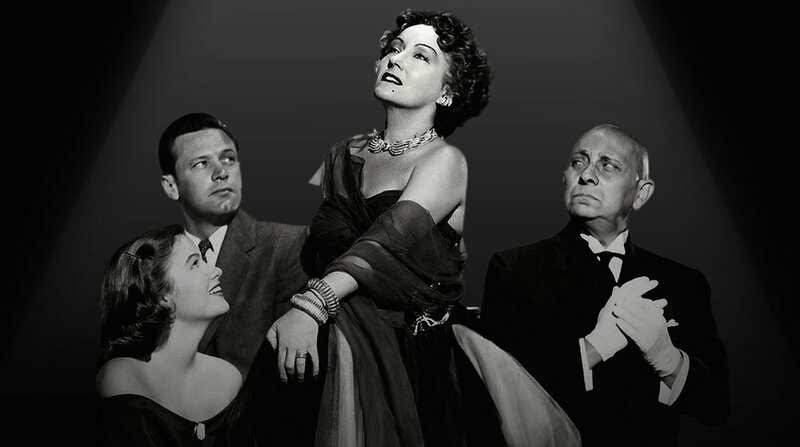 Like All About Eve from the same year, Sunset Boulevard is funny, dramatic and deeply scathing. It’s a gothic-comedy-noir that boasts flawless production, enchanting performances and a hell of an ending; between this and Some Like It Hot, Wilder is the master of the final line. If only mine were that good.